If you were here last week you saw the Tacticalories’ Assault and Pepper Turkey Schnitzel. 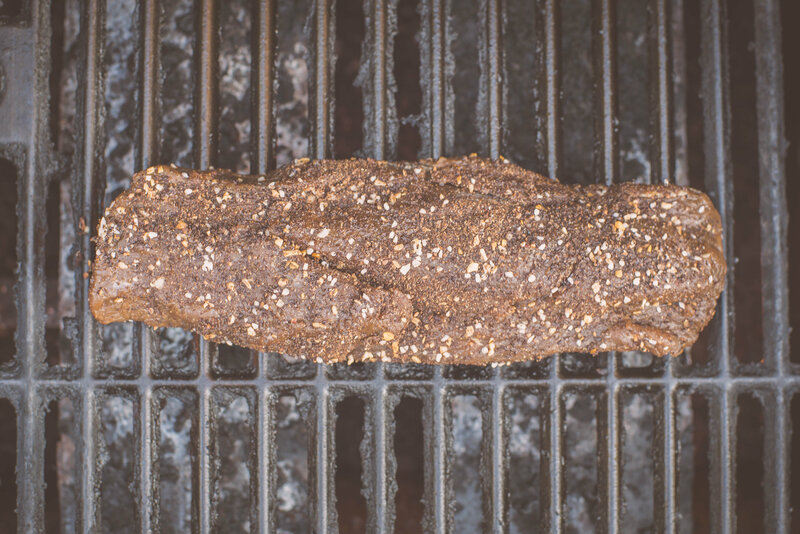 This time we’re sharing the recipe for the coffee brined and rubbed venison backstrap we mentioned. Casey, the founder of Tacticalories, told me of a coffee and garlic flavored rub he was working on and invited me up to test it out among the other seasonings he has. So, I decided to brine the backstrap, from the doe I killed this past archery season, in brewed coffee overnight to compliment the seasoning. What we created was a thing of beauty. Brew coffee and add sugar, salt, and about 1 tablespoon of coffee rub while coffee is still hot to help everything dissolve. 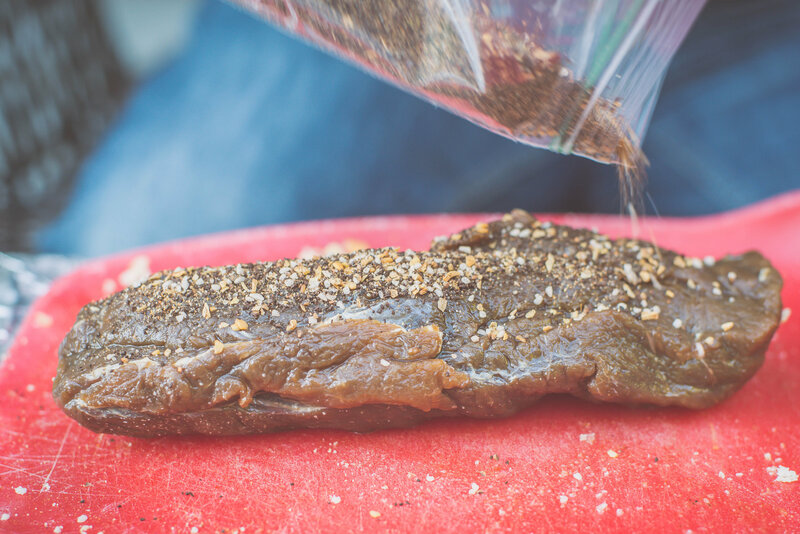 After soaking, remove backstrap from brine, discard brine, and while backstrap is still wet add a generous layer of the Tacticalories Battle Grounds blend. 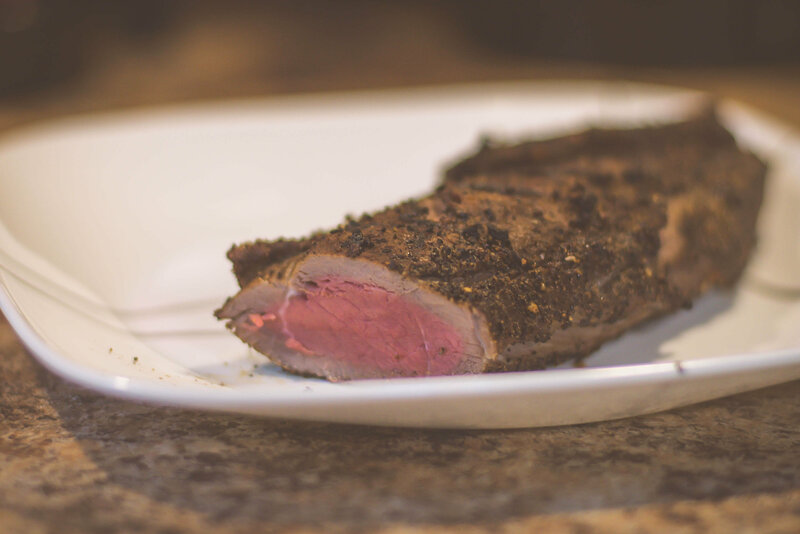 Turn down heat and close the grill to let the venison cook to medium rare – about 135°F internal temperature, using a Instant Read Digital Cooking Thermometer . Casey and the Tacticalories team pride themselves on how fresh their seasonings are, being small-batch, you will be getting seasonings that were created just days before they hit your doorstep. Make sure to check Tacticalories out, they have a Pre-sale going on now for their new Lemon Prepper seasoning. Harvesting Nature readers can get 10% off Tacticalories Seasonings using promo code HARVEST10. Stop by their store today to pick up a fresh batch! Special thanks to Casey of Tacticalories. 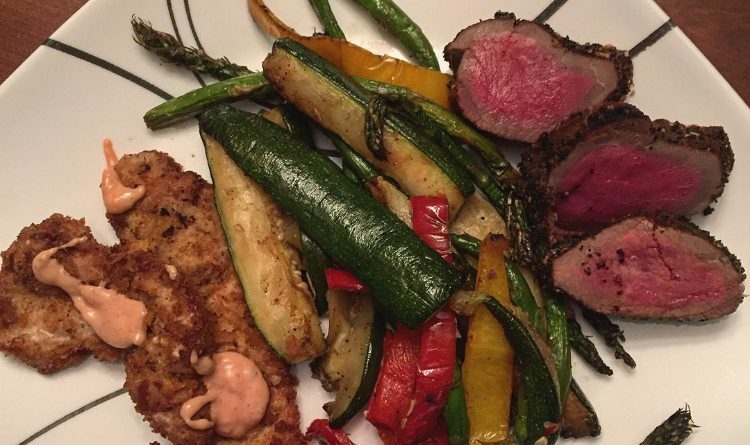 Get more Wild Game and Fish Recipes!